Russia's ill-fated Phobos-Grunt Mars mission remained quiet Tuesday (Nov. 29) after several attempts to nudge the craft back into contact with ground controllers. 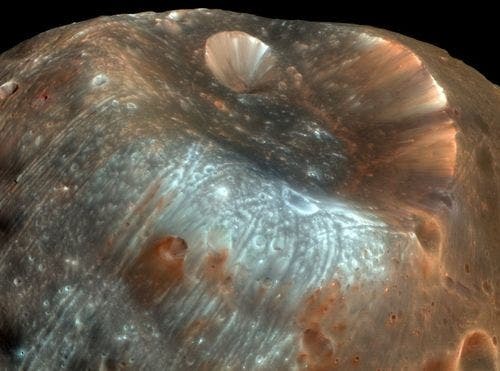 European Space Agency (ESA) officials transmitted signals to raise Phobos-Grunt's orbit Tuesday in hopes it would allow greater communications opportunities at a higher altitude. The effort wasn't successful. The probe remains in a low-altitude orbit less than 200 miles (322 kilometers) above Earth. 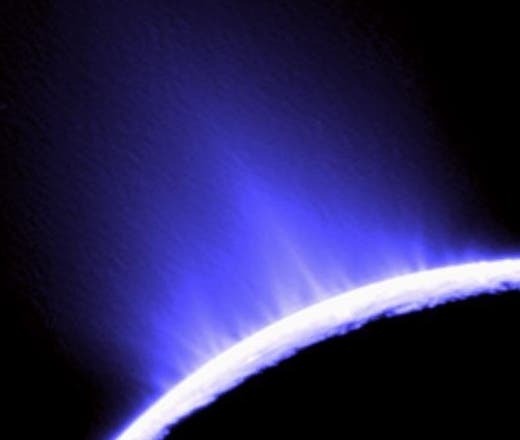 Saturn's small, icy moon Enceladus, “the mother lode of all discoveries was discovered at the South Pole,” said Carolyn Porco in a talk at Harvard University. Porco is director of flight operations and imaging team leader for the Cassini spacecraft in orbit around Saturn. Her work involves taking detailed pictures in space, shots that offer insights into the nature of the universe, and signs of life elsewhere in the solar system.. She described Cassini’s findings of elevated temperatures in the moon’s polar region, as well as an enormous plume of icy particles shooting tens of thousands of kilometers into space. 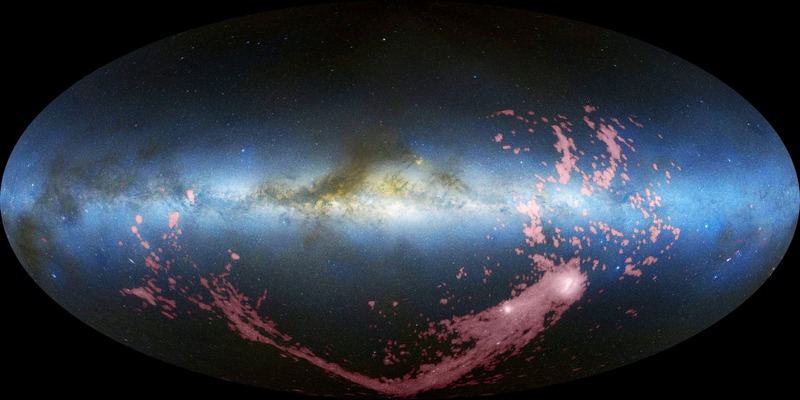 This combined radio/optical image shows the Milky Way, Magellanic Clouds, and a new radio image of the Magellanic Stream. "The new age of the stream puts its beginning at about the time when the two Magellanic Clouds may have passed close to each other, triggering massive bursts of star formation," Nidever said. "The strong stellar winds and supernova explosions from that burst of star formation could have blown out the gas and started it flowing toward the Milky Way." 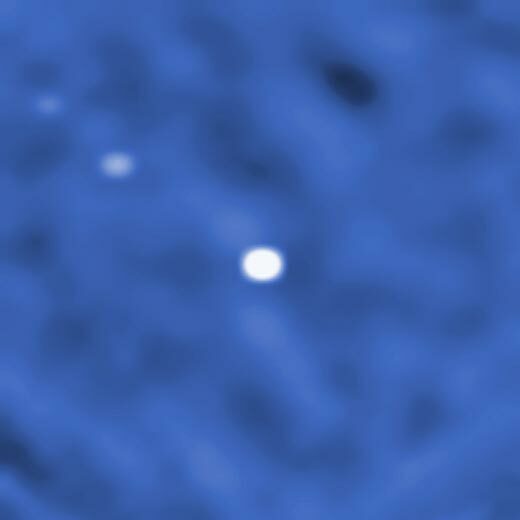 This gamma-ray image from the Integral satellite shows Cygnus X-1 (the large white blob at center) and Cygnus X-3, an accretion disk encircling a neutron star and the third brightest high-energy emitter in the constellation of Cygnus, the Swan. The Imager on Board the Integral Satellite (IBIS) captured this image during that test phase and shows not only Cygnus X-1 (center) but also Cygnus X-3 (upper left). Instead of a black hole, Cygnus X-3 is thought to be a neutron star (a tiny dead stellar core) or a quark star pulling its companion star to pieces. Taken on 16 November 2002, the new IBIS observations support this theory. Scientists at the University of Bristol, along with their colleagues in Minnesota and at the John Innes Centre in Norwich, have recently published exciting new research in the journal PNAS, which increases our knowledge about the way in which rising temperatures affect plant growth. 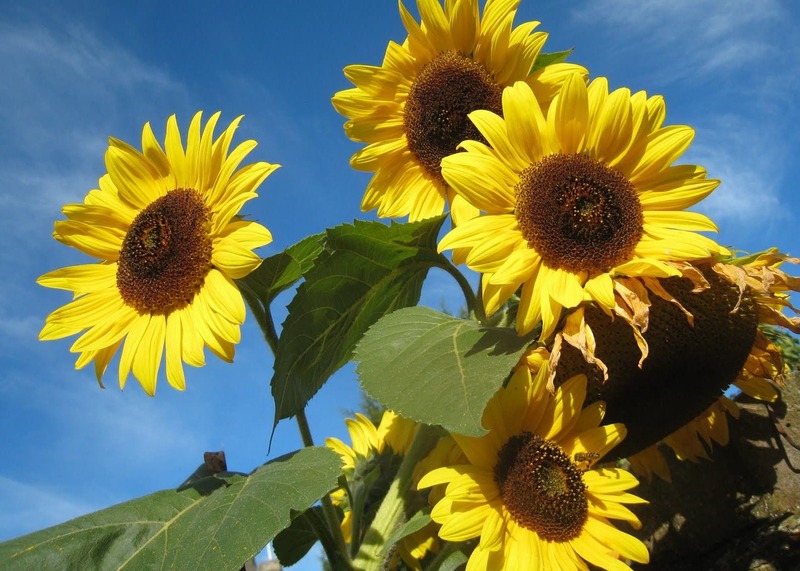 Just a small a change in temperature (from 20 C – 28 C) is enough to cause a striking change in plant height. According to Dr Kerry Franklin, who led the Bristol team, “Small elevations in ambient temperature promote the rapid elongation of plant stems, which can have negative impacts on plant stability and crop yields”.